The Walkera Ladybird got the name thanks to its design which makes it look like a ladybird. Pretty, vivid colors, as well as great built quality, come together with unexpected durability. Even though this quad is really small (8.5cm x 8.5cm x 3cm) and easily fits the palm of the hand, it is quite powerful, so don’t be fooled by its size! 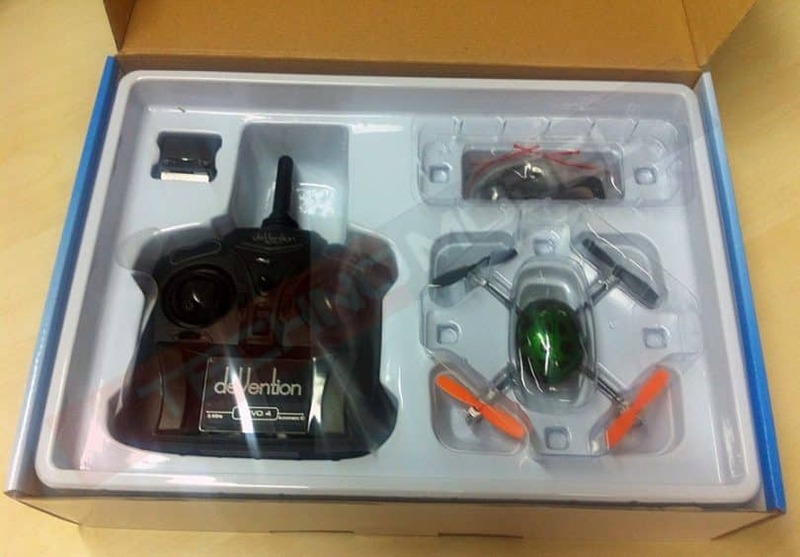 Besides the power it offers, it is also really easy to fly and even the inexperienced drone pilots will master flying this cute little drone in a matter of just a few hours, plus, they will have tons of fun. The solid, aerodynamic design the Ladybird comes with, allows it to be functional even after crashes. Another bonus that is offered with this drone are the easy-to-replace spare parts, which are, by the way, quite cheap. The package includes a set of 4 props. So, assuming that you are a beginner and you will wear the props rather fast, the extra set will really come in handy! The controller is also unexpectedly good. It allows you to monitor the speed controls and gyro in real time. Furthermore, the integrated telemetry functions, which allow you to monitor battery levels and mix control, are possible thanks to the built in transmitter. 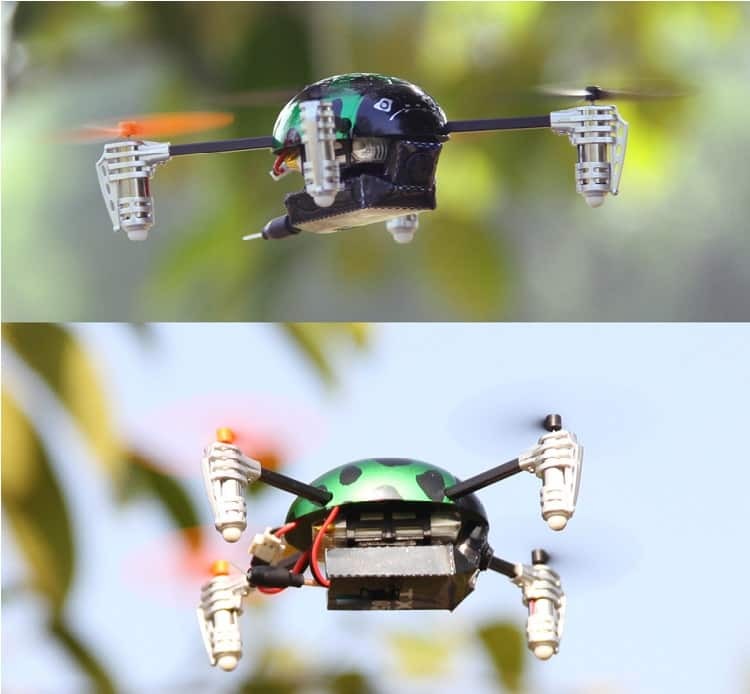 With such a controller, and the stability that the Ladybird provides, 3D maneuvers such as pirouettes, rolls, and flips, as well as aerial acrobatics, are very possible. We also have to mention that the mentioned aggressive acrobatics, are also possible thanks to the 7mm brushless motors, which allow an immediate and efficient response. 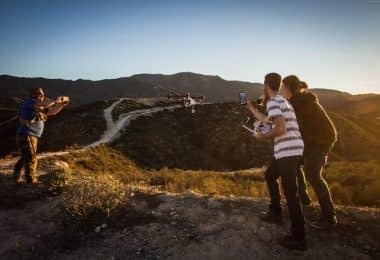 If the term brushless, doesn’t mean that much to you, you definitely need to get more familiar with drone motors and check out our article about quadcopter motors. Moving back to Ladybird. For a stable and free of stress experience, you can quickly and quite easily switch from normal to stable mode, as well as the acrobatic mode, for the times when you feel like a daredevil pilot! Either way, this little drone comes with a 6-axis gyro stabilization system, allowing it to deliver best-in-class stability during air time. When taking a look at the Ladybird V2 with the canopy on, assuming that you know how the previous V1 version looks like, it will be very hard to tell the difference. In fact, other than the receiver, the receiver board, and all the other parts are interchangeable. This made us think, which parts did the manufacturer strip off, and why do they sell it for a cheaper price than the previous model? When comparing the control boards of the two models, you can immediately notice that some of the components you can see on the previous model’s board, are gone. Namely the accelerometer chip and the upgrade ports. This leads you to thin that the V2 model, lacks the stability of the V1 model… But, bear with us for a little more, and we will explain this in the Flight Performance part of the article. Unlike the first V1 models, the V2 model comes with rubber padding at the bottom of the motors, allowing them to be protected, and avoid the blocking of the motors, which was an issue with the first models of V1. 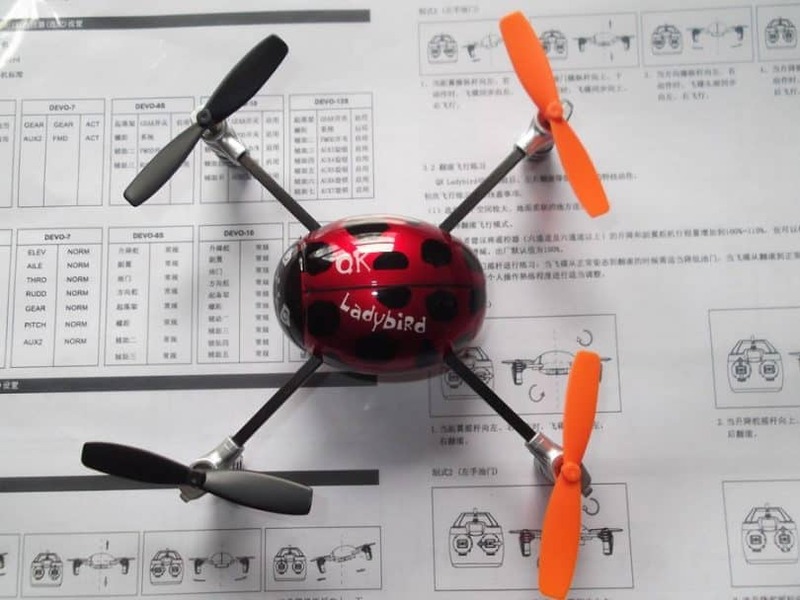 The fact remains that the Ladybird is an extremely durable little drone, and even after many crashes, it will keep on flying. We say it again, this model is a great one for pilots without any drone flying experience. As far as the construction of the “Lady” goes, it is quite simple, and you will notice that the receiver board connects to the 4 legs, and there’s the battery in a battery box. In the case, you hit your quad really hard into a wall, and damage the leg in a way that doesn’t allow you to continue flying, the replacement is extremely fast and easy. It will take you about half a minute to take the old leg and put the new in. The model we are reviewing in this article doesn’t come with a camera. 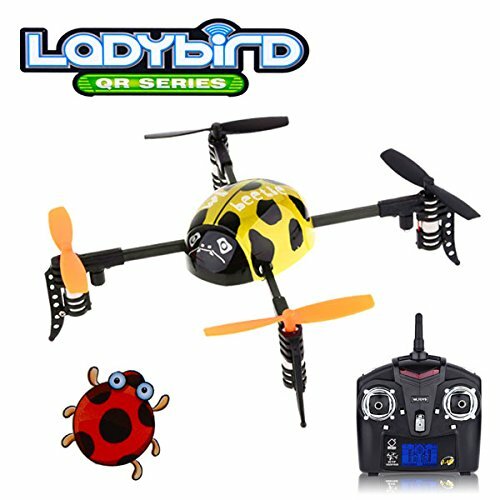 But if you like the Ladybird so much, and you simply must have a camera on it, you can buy the QR Ladybird V2 FPV model, which we will present in the “Similar models or main competitors” section. The Ladybird V2 comes with a 3.7V 25C 240mAh LiPoly battery and 6 to 8 minutes of flight time. This is basically the flight time that all the models in the micro drone class offer. 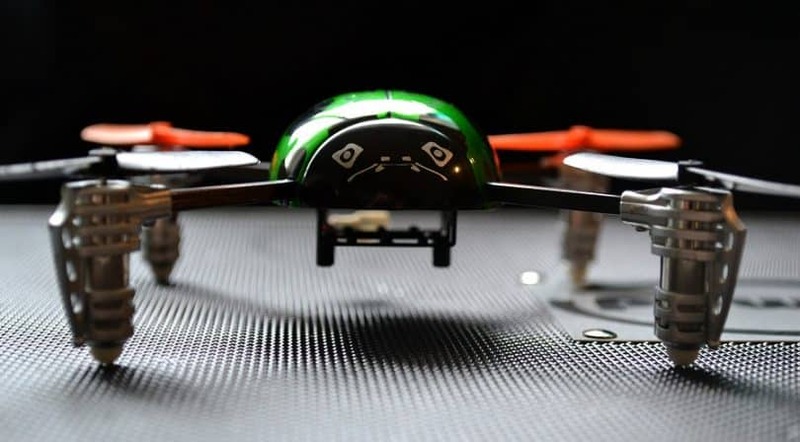 However, there are a few tricks when it comes to RC batteries, that will allow you to squeeze that extra juice from them and add a minute or two more to your flight time. To get more familiar with what you need to do to get there, check out our article about how to extend your battery’s life and flight time. When the Walkera presented the new QR Ladybird V2 model, they also presented the new Devo 4 controller. This controller comes with basically the same ergonomics the Devo 6 controller offers. In our book, that is a huge plus! 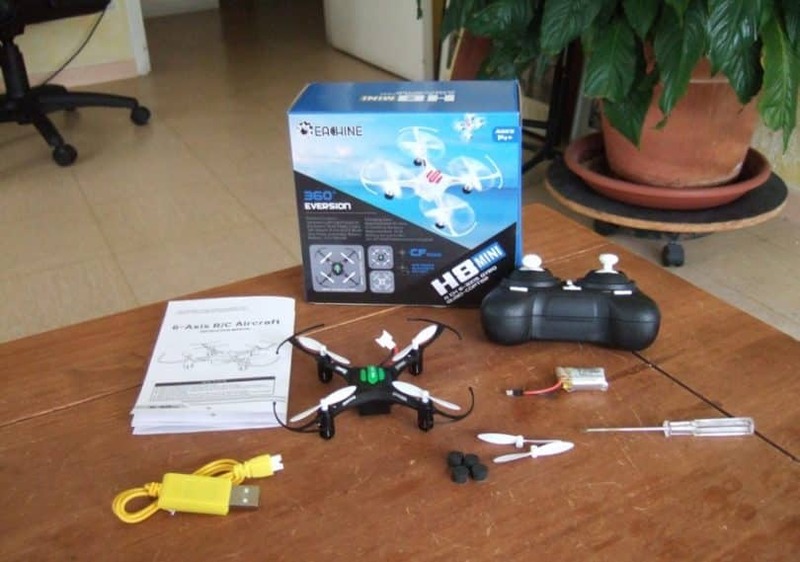 Even if you have big hands, the small controller will fit nicely in your palms, and you will feel quite comfortable holding it and controlling the quadcopter. As far as the functionality is concerned, it can’t get any simpler than this. You have 2 control sticks, a dual rates button on the controller’s right side, and a channel reversing button on the back of the controller. You won’t find any fancy buttons, switches and knobs, only a metal eyelet for the neck strap and that would be all. The controller communicates with you through beeping sounds. You will hear the beep when it’s connected to the quad, while you do the trimming, and the red signal light below the Devo sign, for letting you know in which speed rate you are in. The throttle stick is soft and reacts nicely, while the other controlling stick is a bit stiff. But hey, for that price, you can’t expect it to come with precise control sticks like $700 models offer. 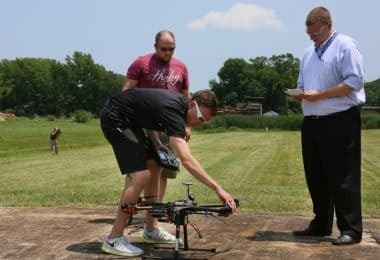 This might make it tough for you to perform those precise movements like flying between the chair legs inside your home on your first day as a drone pilot, but by the time you get comfortable with your flying skills, the stiffness of the control stick will be something that you don’t even notice anymore. But, you need to know that the stiffness of the sticks actually prevents the newbie pilots from over-controlling the drone, so that might be something that they did on purpose… Hopefully. The control range of the drone, with the Devo 4 is around 30 meters or 98 feet. Remember the beginning of the article, when we told you how the V2 model comes with less components on the controller board, and that this leads you to thin that the stability of the V2 is not as good as with the V1 model? Well, according to many user reviews, you can’t notice the difference in stability during the flight between these two models. So, for a lower price, you will get a drone that is unbelievably stable. It takes off without a problem and allows you to make it hover with very or no adjusting of the controls or trimming. The V2 offers two flight modes, the Stability and Stunt mode. The first one allows you to use both high and low rates, and it will fly very fast and at quite steep angles, without flipping. It is really useful for newcomers to the world of drone piloting. On the other hand, the Stunt mode is for those with more experience, and it allows the drone to flip. In the case that you flew with other models from the same class, you have to have in mind that the V2 can achieve flips manually, meaning that pushing the drone fully over until it is horizontal again, is required. Above is another video that shows what the Ladybird can do. As with many other drone models out there, the guarantee depends on the seller you choose to buy it from. 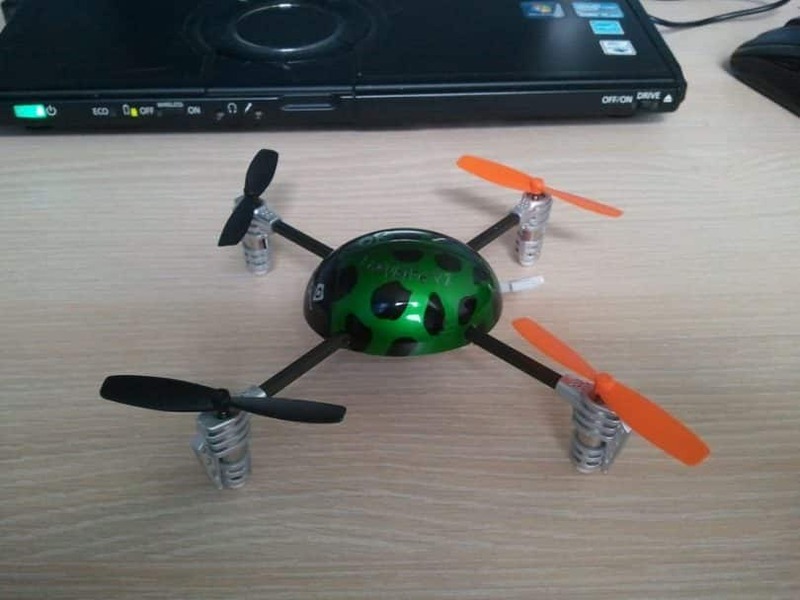 As for Value for the money, our opinion, and numerous Ladybird V2 owners will confirm, for the price of around $60, you can’t get such a fast and stable micro quad. Of course, there are much cheaper drones in this class, but the quality of the built, and the flight performances are not on the same level. The Ladybird does come with the ability to be controlled with the Devo RC series but have in mind that your controller will require the S type. Judging by the experienced pilot reviews, to achieve improved control of your drone, you can try using the Devo7E controller, which comes with better and less stiff control sticks. This makes the control of the V2 much easier and smoother, and the controller itself is unbelievably ergonomic. The only difference between the V2 and the V1 version, besides the price, is that the V1 comes with the two way transmitting power. 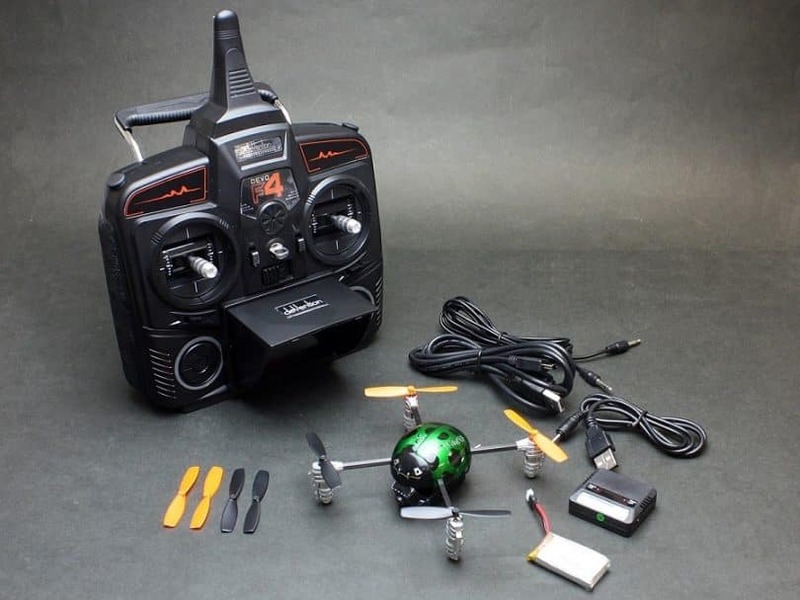 This means that the drone’s transmitter can send to the controller, the information like battery power level, current speed, and temperature of the motors. This way, the user can have real-time insight into what is going on with the drone during the flight. But, if you simply are not interested in such information, and the only thing you care is flying your quad, then the V2 is the right choice for you because it has literally the same flight performance characteristic as the V1 model. This model is basically the same with the Ladybird V2, but it offers you the ability to see what your drone sees in real-time. Meaning that it comes with FPV setup. As with the non-FPV Ladybird, this model also comes ready to fly right out of the box, and all you need to do is charge the battery. 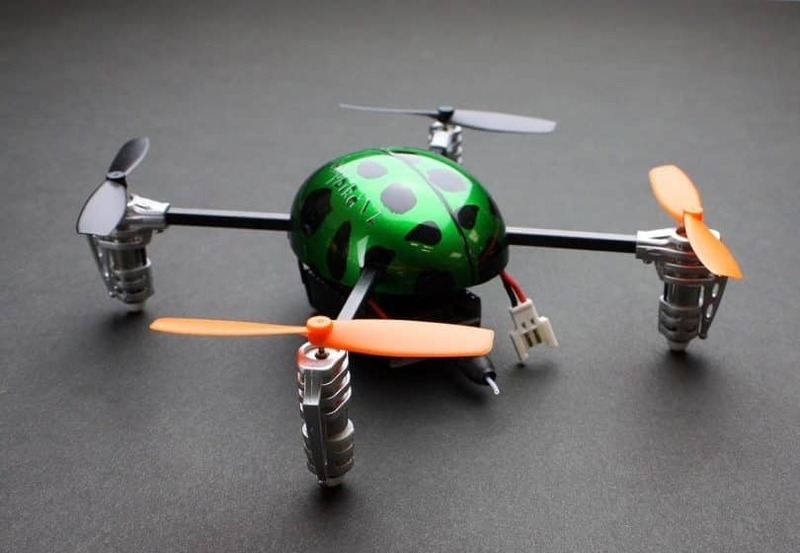 When it comes to comparing the Ladybird V2 and the Eachine H8 Mini, the first thing you will notice is the price. The H8 is far cheaper, meaning that you will automatically think that it’s made of really cheap materials and the flight characteristics are way below the level of the V2. To a certain degree, at least when the built quality is concerned, you might be right. But, the plastic used for the H8 is as not cheap as one might think. If you want to know much more about this model, we suggest reading our Eachine H8 Mini in-depth review. Easy to Fly– When it comes to micro drones, the V2 is probably the best in easy-to-fly section. Meaning that it’s lack of too complicated features makes it ideal for beginners. Agility– Even though it’s really small, it is more than capable of performing highly tough acrobatics and maneuvers, through the 3D mode. Price– The V2 comes with quite an affordable price, and you can usually buy it for around $60. Hard and Fast– The aerodynamic design of the V2, with its canopy shell, allows the drone to handle crashes quite good. And, even if you do break a certain part, it can be easily replaced with a new one, which is very cheap. It also comes with an extra set of propellers. Pairing– We have noticed that the issue of binding appears rather often in the forums. Usually, the users complain about having problems with binding the transmitter to the drone. We can say for sure that this is a problem with all the units, but it is something worth paying attention to. 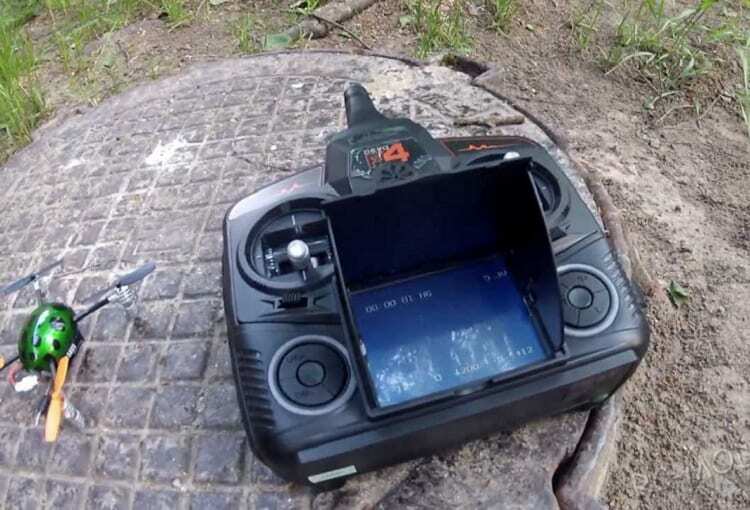 All in all, the Walkera QR Ladybird V2 is maybe the best option for those who want to get into the world of Drone hobby, learn how to become a drone pilot, and have plenty of fun along the way. The Walkera QR Ladybird V2 is a great little entry-level drone with great flight characteristics and value for the money. 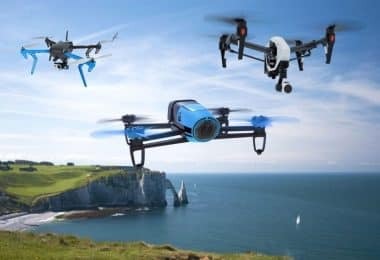 It is ideal for beginners, as well as for those who don’t have even a minute of drone piloting experience, and are eager to give it a try. It will allow you to master your piloting skills, plus, you will have tons of fun, especially when you learn how to perform 3D acrobatics. We hope that our review helped you in understanding and getting to know more about this model, and please, if you have any questions, feel free to ask it, or to leave a comment in the comment section below. We wish you clear skies and great flying!